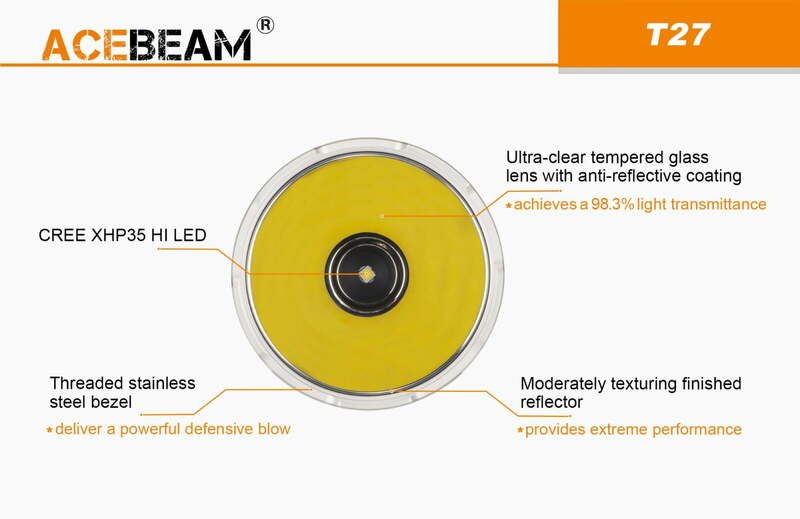 Home / Stage Lighting / All Disco, Mobile, Stage Lighting / Acebeam T27 Flashlight Grand throw 1180 meters Great LONG Throw Distance! 1.18km. 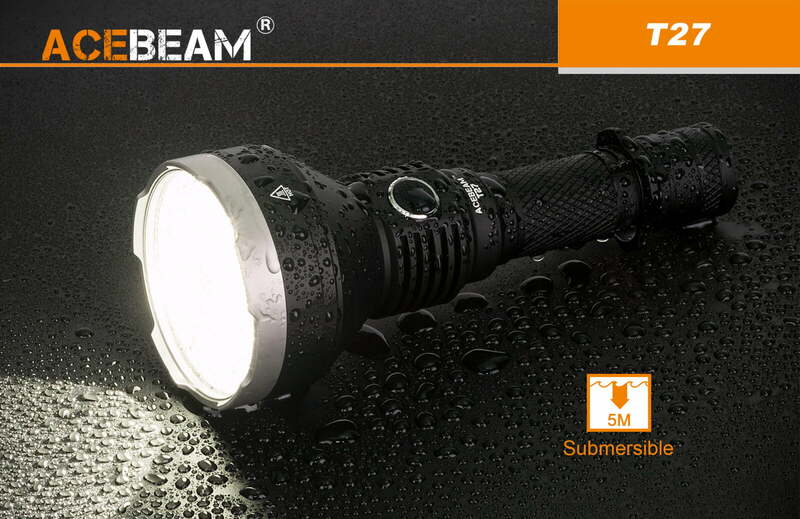 2500 Lumens! LOW STOCK BUY NOW! 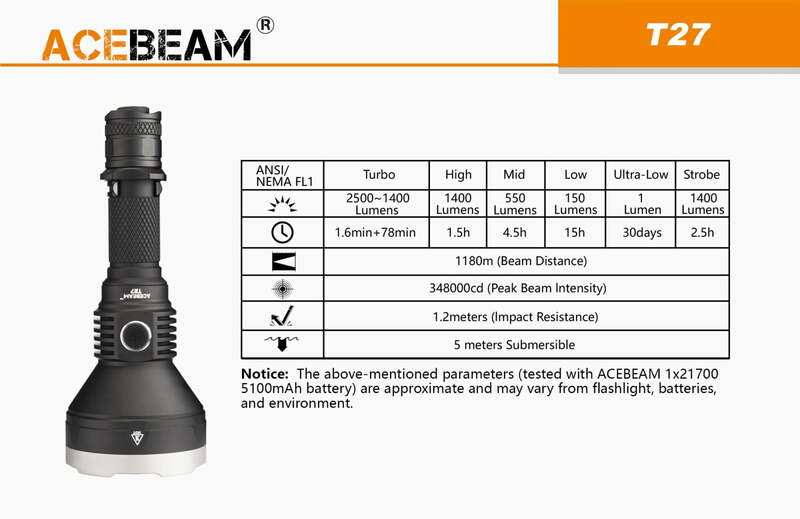 Acebeam T27 Flashlight – 1180 meters Great LONG Throw Distance! 1.18km. 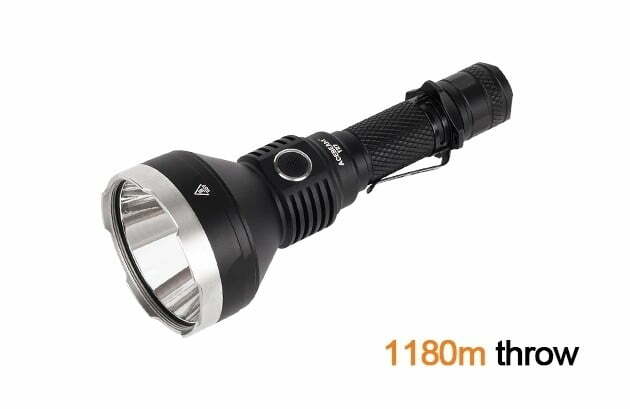 2500 Lumens! 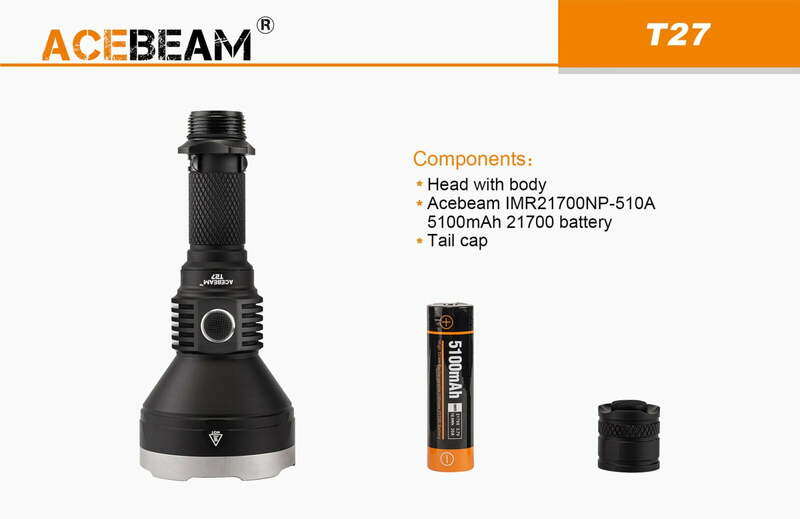 The Acebeam T27 Flashlight is fitted with a CREE XHP35 HI LED. 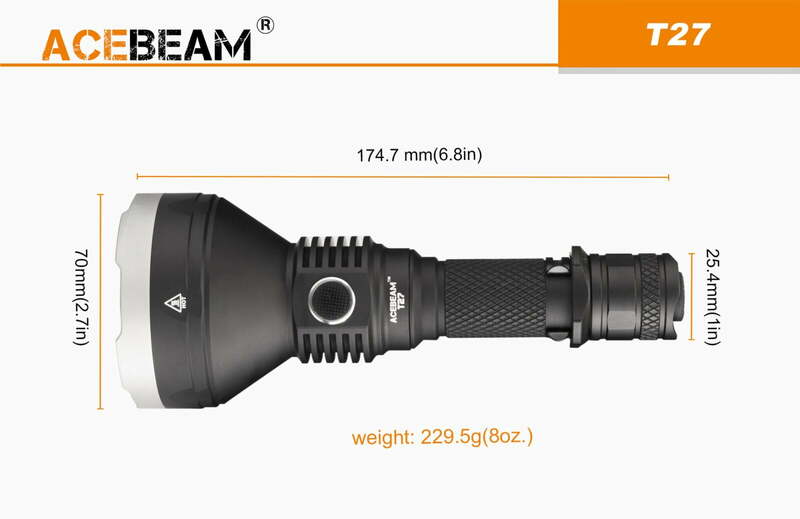 Acebeam T27 has a grand throw; an ultra-long 1180 meters beam distance! 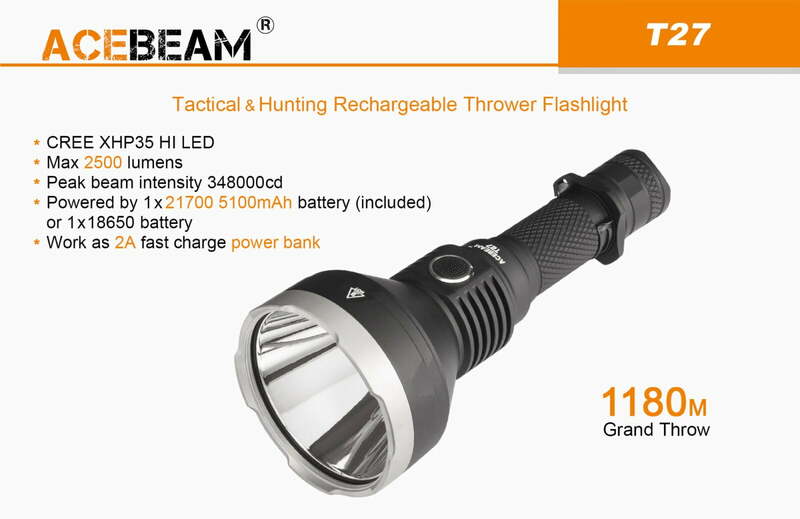 The T27 delivers a 2500-lumens maximum output powered by a single 21700 5100mAh battery. Moreover; the T27 is also machined to take a single 18650 battery using the equipped 18650 battery adaptor; or a pair of CR123 batteries. 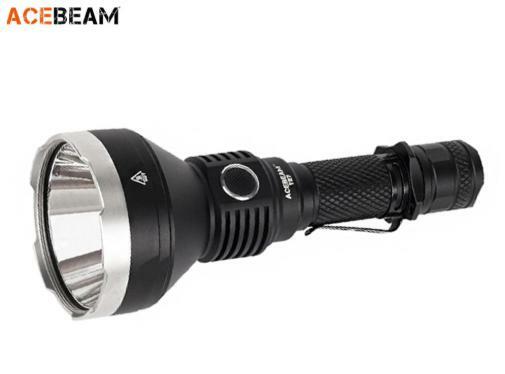 This versatile light caters for multiple output level demands; which is selected by side switch. 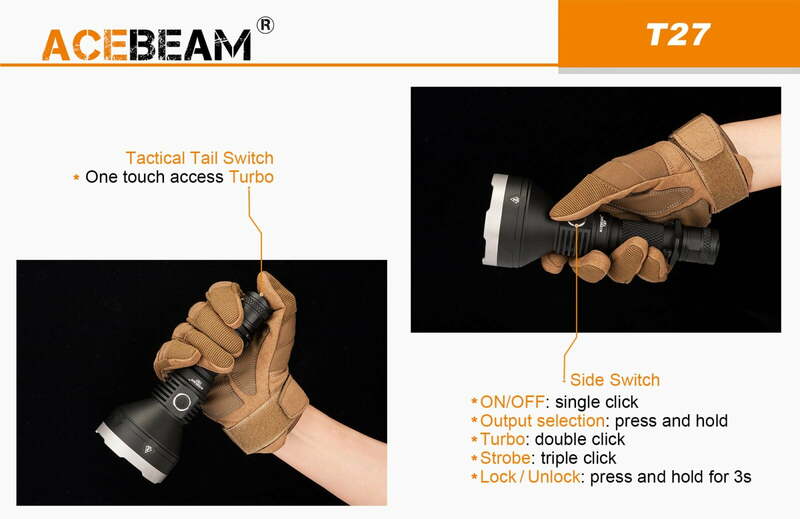 The tail switch allows a quick access to Turbo mode. Included in the package is a USB-C charging cable that makes it much more convenient; with 3 times charging speed. Also it could be used as a power bank function. The optional remote pressure switch and range of filters make it an ideal companion for any kind of weapon. 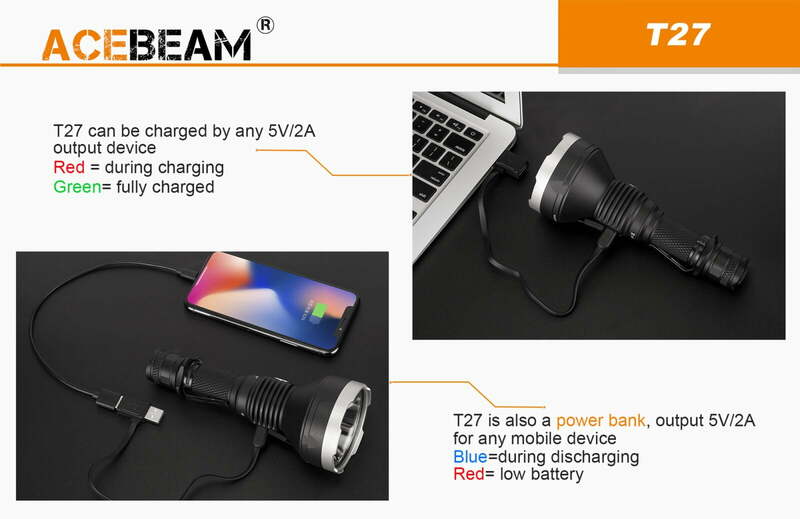 T27 is definitely a high-performance flashlight for security, safety, policing, hunting and law enforcement applications. 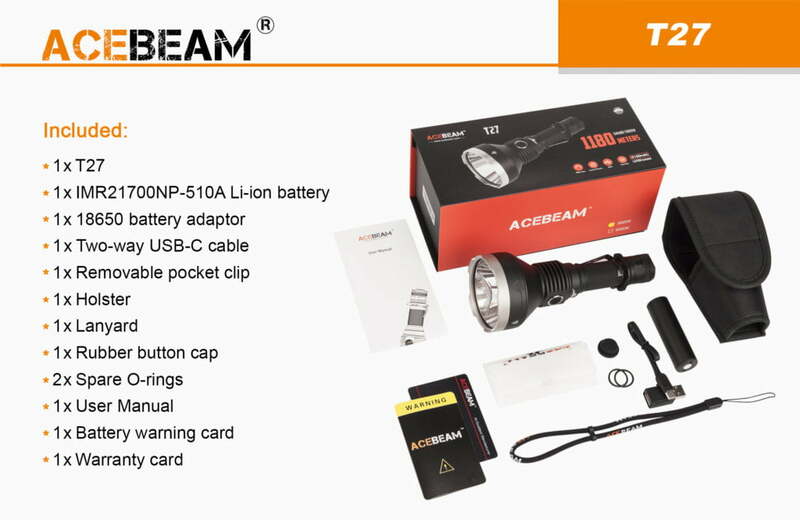 For any Questions about our Acebeam T27 Flashlight; or for Prices on delivery to the EU please contact us. Or; why not visit our Facebook page and follow us? You can see ALL the latest info as it happens!